How the LG OLED TV = Great Family Entertainment! If you’re a family who loves great entertainment and you’re looking for the next great thing for your media room, you’ve got to check out the 77’’class LG OLED TV! It lets you enjoy a premium cinematic, home theater experience and really steals the show! If you’re looking to take your family entertainment to the next level this year, Best Buy has some great offers on LG OLED 4K TVs that are perfect for families to be immersed in movies, tv shows, and sports! With the larger screen of the 77″ class LG OLED C8 TV you get a 4K experience that just can’t be matched! The larger screen brings a more immersive experience for all of your favorite movies and television shows! 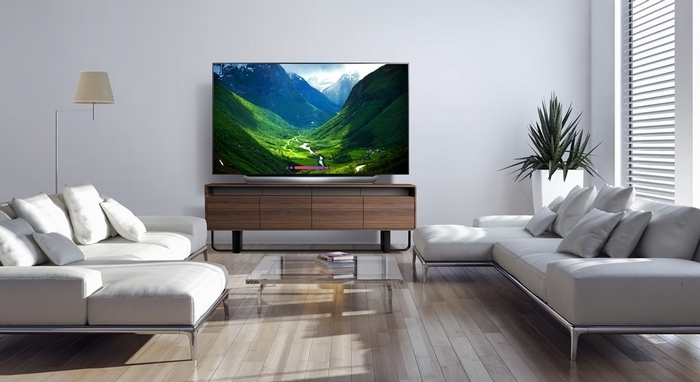 So why does the LG OLED TV work great for family entertainment enthusiasts like us? Check out some of the features that help it steal the show! 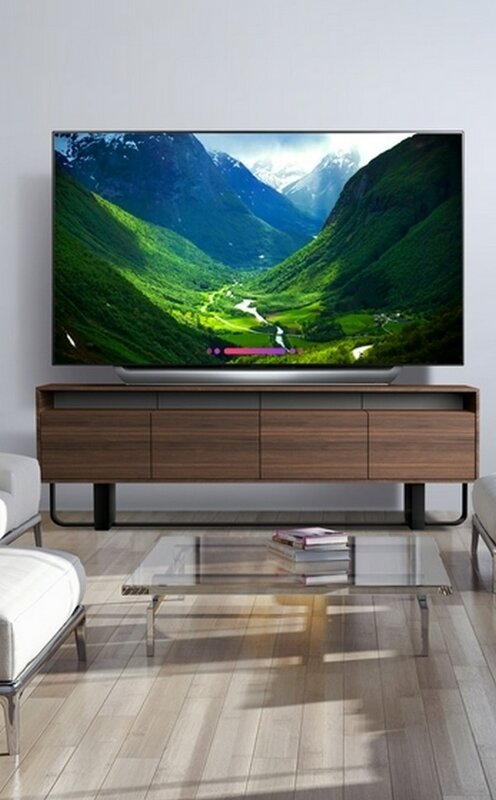 The 77″ class LG OLED C8 TV has a 76.8″ screen (when measured diagonally from corner to corner) which is large enough to provide an immersive experience for everyone watching! The 2160p resolution lets you watch 4K movies and television shows at 4x the resolution! If you haven’t watched your favorite movie in 4K, you have to try it! We have started building up our 4K UHD collection with all of our favorite movies because we love the quality! It will also upscale current HD to Ultra HD picture quality. These TVs have Google Assistant built in! That means you can control your compatible devices with your voice! It also works with Amazon Alexa devices. This means your television can become the hub for your smart home! change picture settings like movie mode, game mode, sports mode, etc. Plus it’s a smart TV so you can launch all of your favorite apps like Netflix, Hulu, and more! Each of the 8.3 million individually lit pixels of the LG OLED TV can brighten, him, or power off completely giving you perfect black and amazing picture detail that is impossible with any other TV technology. The LG OLED TV also features cinematic sound with Dolby Atmos. IT creates a more detailed sound experience that feels like it coms from everywhere. You get a wonderfully realistic and immersive experience that puts you inside your favorite movies and shows. Inside you’ll find LG’s most powerful processor, the α9 (Alpha9). It provides superb picture quality with true-to-life images. The rich colors, sharpness, and depth offer the ultimate in picture quality! 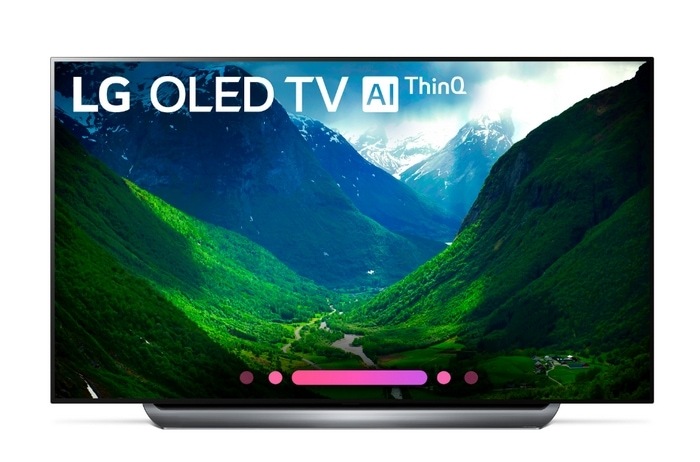 You can learn more about LG OLED TVs at BestBuy.com and then be sure to check out all of the great offers available! You can save up to $500 on select LG OLED 4K TVs!